My first married December was rough. 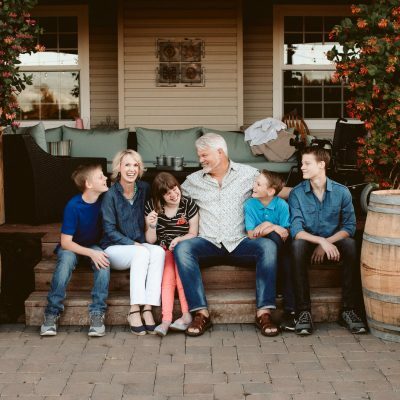 We had moved from Southern California to Northern Idaho a couple months earlier and I wasn’t going to see my family on Christmas. I was grumpy most of the month, unable to appreciate new traditions and the Currier and Ives weather in our new state. Decorating the Christmas tree was a special event when I was growing up. My step-dad got it in the stand and as perpendicular as possible. My mom and brother did the lights — always colored and the more the merrier. Then we set to unwrapping ornaments, laughing at the ones made in grade school, making sure the one-eyed mangy bird got a prime spot. As my husband and I set up our forest-felled tree that first year together, I felt bereft and lamely incapable of putting lights on branches properly. He wisely stayed on the couch as I huffily wound lights onto branches but ended up at Lowe’s three times in the span of an hour because WE DIDN’T HAVE ENOUGH LIGHTS (I was yelling this to myself while huffing). And the next day, the tree fell right over. I know I’m not the only one with Christmas stories like that one, or worse. Disasters are just lurking in the shadows of high expectations, an influx of social engagements, and the pressure to spend money. 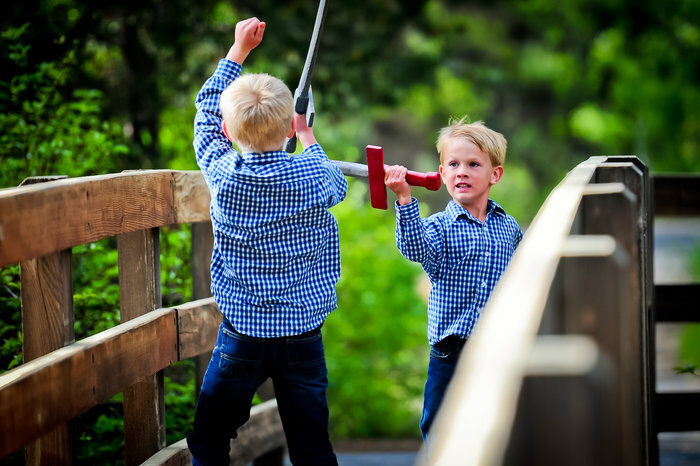 Christmastime is often the breeding ground for tension and hurt, instead of comfort and joy. 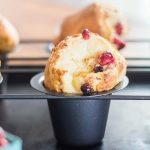 Practicing Advent is something that has helped me quiet my soul during the holidays. I didn’t grow up in a denomination that followed the liturgical church calendar, so I mostly associated Advent with consuming a small, waxy chocolate each day in December until Christmas. 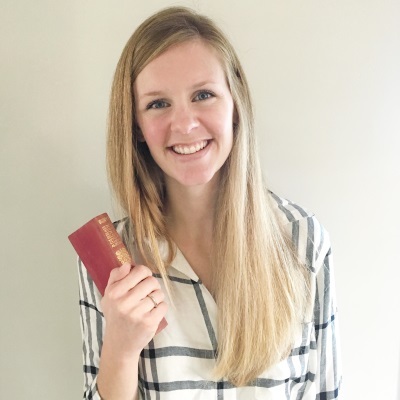 But in the past few years, I’ve enjoyed the rhythm of an Advent study or book to reorient my heart and mind toward the anticipation of Who has come and Who is to come. 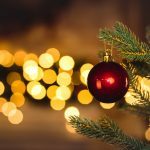 Here are seven of my favorite Advent reads. 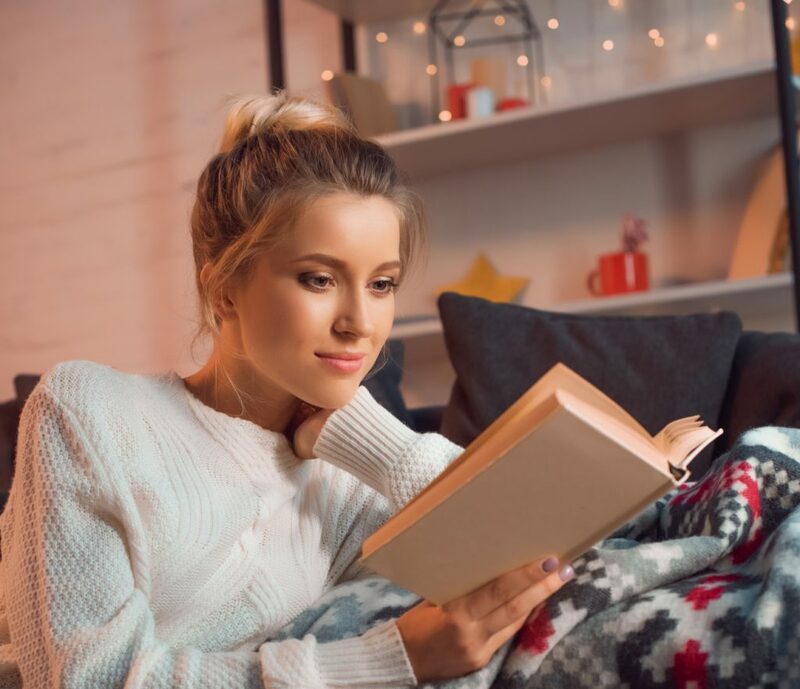 Use code NOVBOOK18 to get $5 off a $20+ book purchase of books sold/shipped by Amazon.com. Good through midnight November 25! 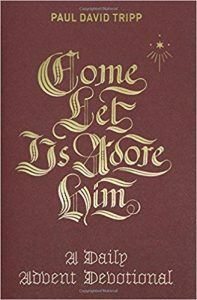 “Advent is a paradoxical season: a season of waiting and anticipation in which the waiting itself is rich and fulfilling, a season that looks back on the people who waited in darkness for the coming light of Christ and yet forward to a fuller light still to come and illuminate our darkness,” Guite says in his introduction to Waiting on The Word. 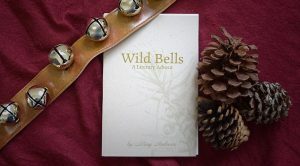 Poetry, with all of its veiled meaning and beautiful imagery, is a unique and fitting medium to explore the depths and tension of Advent. 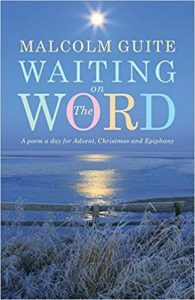 Guite is a gentle and skilled guide through each day’s poem, picking out themes and theology embedded in this wonderful mix of classic and contemporary voices. 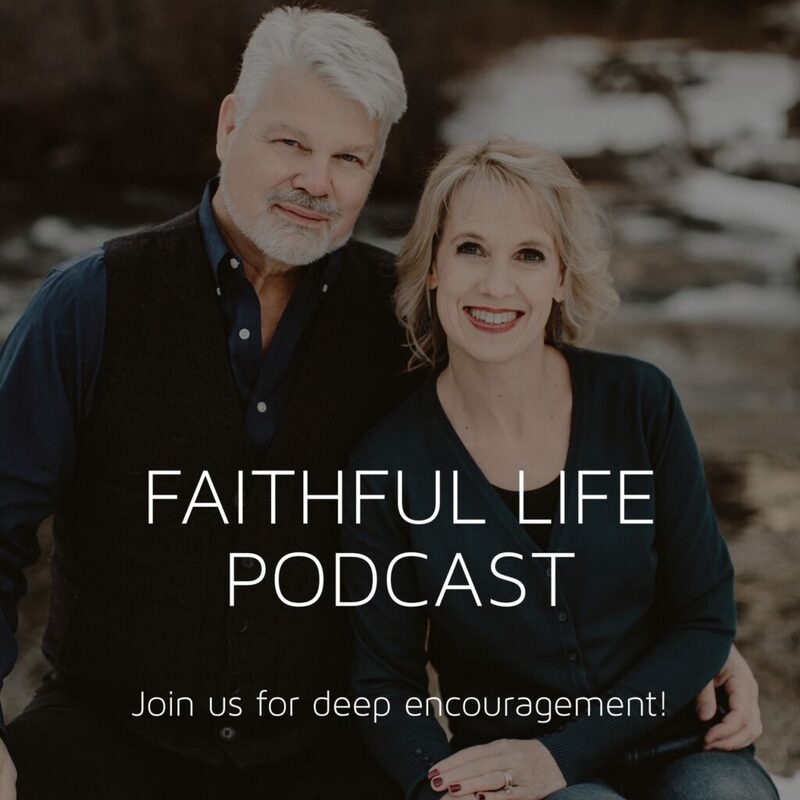 In the preface, Russ explains that “this book is meant to be a servant of the Bible,” a way to help you connect individual stories to the broad narrative arc of Scripture, not substitute for the Bible itself. The Advent of The Lamb tells the story of the need for and the coming of Christ, encompassing both Old and New Testaments. Each of the 25 chapters has the Scripture passage it is based on for reference at the top. Russ is a skilled narrator and I loved how he effortlessly wove cultural and historical context into this retelling. It reads like a study Bible with the fluidity of a novel. 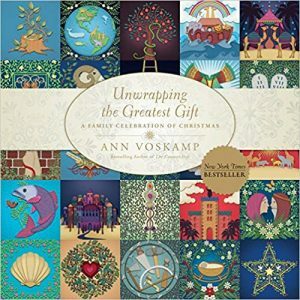 Ann’s lyrical writing voice seems particularly fitting for the wonder surrounding Christ’s birth. 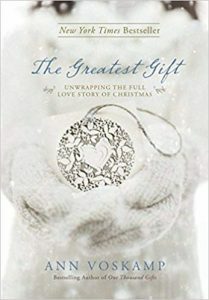 In The Greatest Gift, Ann uses the advent tradition of the Jesse Tree (a tradition I knew nothing about before reading this book) to frame daily readings that follow the lineage of Jesus starting with Jesse, the father of David. Similar to The Jesus Storybook Bible where “every story whispers His name,” The Greatest Gift continually points to the coming promise of Christ throughout the Old Testament. It’s rich and beautiful and I usually re-read this every year. 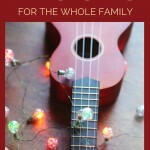 This is a stunning coffee-table-worthy reimagining of The Greatest Gift geared toward families. The gorgeous illustrations give life to The Jesse Tree tradition and will captivate children of any age. 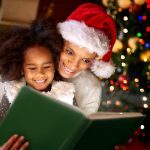 Each day has a scripture reading, kid-friendly devotional and suggested activities to do as a family. When we do a book advent (I wrap 24 books and they get to open one every day leading up to Christmas), I have the kids open this one first. This is a wonderful collection of readings (mostly short essays and a few poems) from a wide spectrum of classic and contemporary voices. The index allows you to pick and choose readings by author. I enjoyed the diverse perspectives and number of readings (start on November 24 and end on January 6). There are so many things I love about this slim book. It’s beautiful to look at inside and out. Asheritah convincingly explains the history and relevance of celebrating Advent in her introduction. 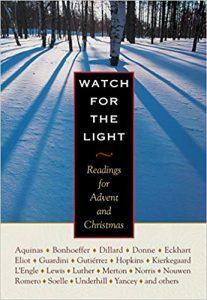 Each reading focuses on a different name of Jesus and are grouped to follow the four weeks of Advent (Hope, Preparation, Joy, and Love). 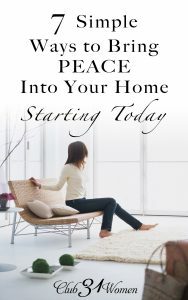 Every week starts with an interactive devotional for the whole family. 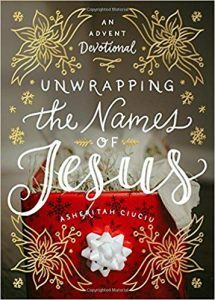 Unwrapping the Names of Jesus is a great place to start if you’re new to Advent. 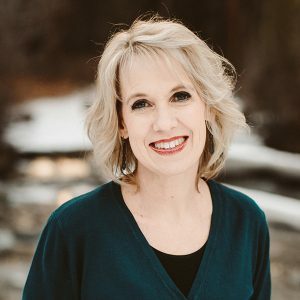 Liz Curtis Higgs is skilled at bringing out the emotional depth in stories from the Bible. In The Women of Christmas, Higgs explores the lives of three women who carry the story of Christmas – Elizabeth, Mary, and Anna. She provides commentary, verse by verse, as these women prepare for the birth of the Messiah. 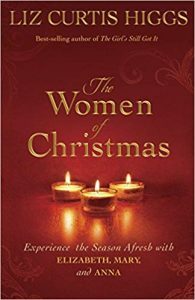 I loved the fresh perspective on how these women’s individual stories intertwined with the Christmas story. 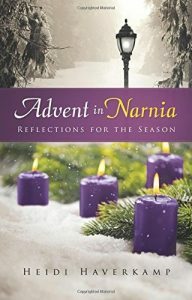 I’m always on the look-out for new Advent books. Here are a few I have my eye on for future seasons. 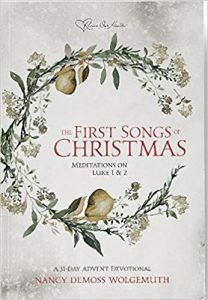 The first two chapters of the gospel of Luke record the very first Christmas songs. Each day of this 31-day devotional revolves around one line from one of these songs. 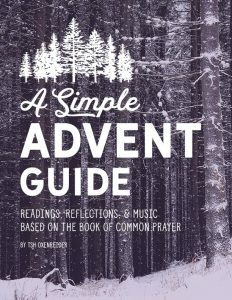 Short, daily readings from The Book of Common Prayer, plus a reflection question and music to stream for each day of Advent, every year. 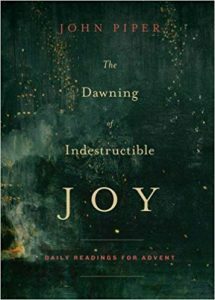 Twenty-eight devotions alternate between Scripture and passages from the novel to prompt meditation on Advent themes. Each devotion also includes questions for reflection. 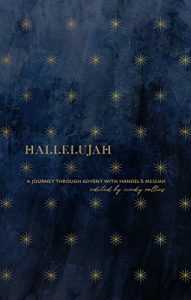 Reflections on Advent with a daily guide to listening to Handel’s iconic piece of music. Theologically meaty readings culled from Piper’s sermons and blog. One devotion for every day in December starts with a compelling, gospel-centered thought followed by an extended meditation for the day. 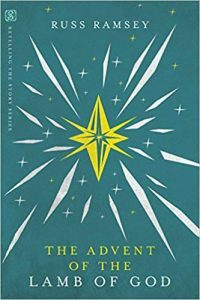 Do you have a favorite book to read during Advent?